Store, transport, and protect your Canon EOS R and related accessories with the black Lightweight Backpack from Porta Brace. The pack may be worn as a backpack or a sling bag, and has a spacious zippered main compartment with padded, touch-fastening dividers for organizing gear. The clear-vinyl pouch allows your tablet to be used while protected. A variety of interior and exterior pockets offer convenient storage for accessories. An exterior side pocket with an adjustable strap serves double duty for holding a compact tripod or stand. Carry the pack by the suede top handle, or wear it with the padded shoulder straps and connector. 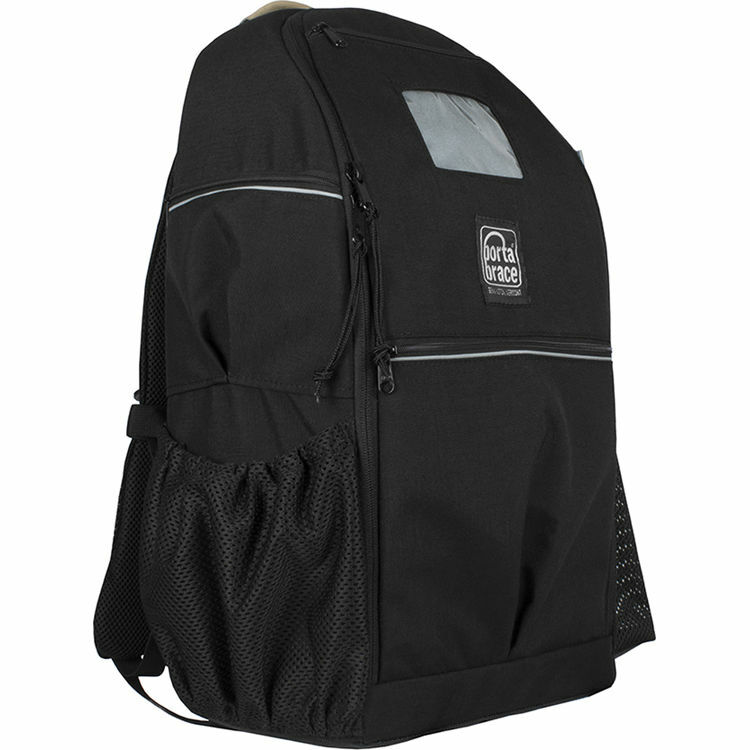 The back panel is padded for cushioning comfort, and the shoulder straps may be tucked away when not in use. The 1000D Cordura nylon and 1" foam padding ensure protection, durability, and strength. Included with the pack are touch-fastening dividers, a camcorder cinch, and a carabiner with flashlight.